Despite all of the information I've given so far about Dendrobates azureus, there are still some facts and tidbits I'd like to include! 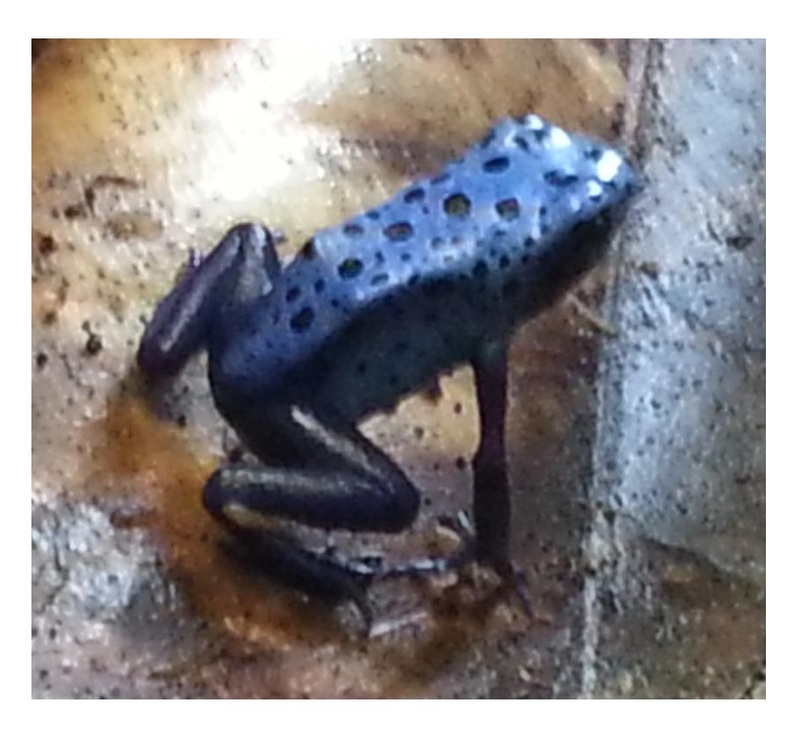 There's no way I could document every interesting detail of this species, but I hope these facts will finally persuade you that the Dyeing dart frog is one cool organism. I chose this organism because of the brilliant color and the fact that I've always had a slight fascination with frogs and other amphibians. I've always enjoyed setting up tanks, aquariums, and terrariums for them because when you look into one it takes you into the world of the organism. Because of this project, I now get to glance into a slice of Surinam-like habitat within my own home. The spotting patterns on each frog is as unique as your own fingerprint, which means that if you capture some of these frogs in the wild, sketch the patterns on their backs or any part of their body then release them, you will be able to identify them if they are caught again. I'm sure that by now you can tell Pongo and Perdita apart by their colorations! This species of frog is so widely sought for the pet trade that illegal captures once threatened this species. Since those days, however, local breeders have been able to supply customers with the amazing jewels of the forest so that the actual frogs still in the forest can stay there. Hoogmoed actually made note of his worry that the delicate "forest-islands" that the frogs are partial to may be decimated by human advancements into the area and that the fragile environment of these frogs will one day be upset. When stationary, these frog's larger toe (on all four limbs) twitches. I actually had thought that Pongo's toe may have been broken when I first noticed it, but a quick view of other frogs online quickly reassured me that this seems to just be a quirk of the species. 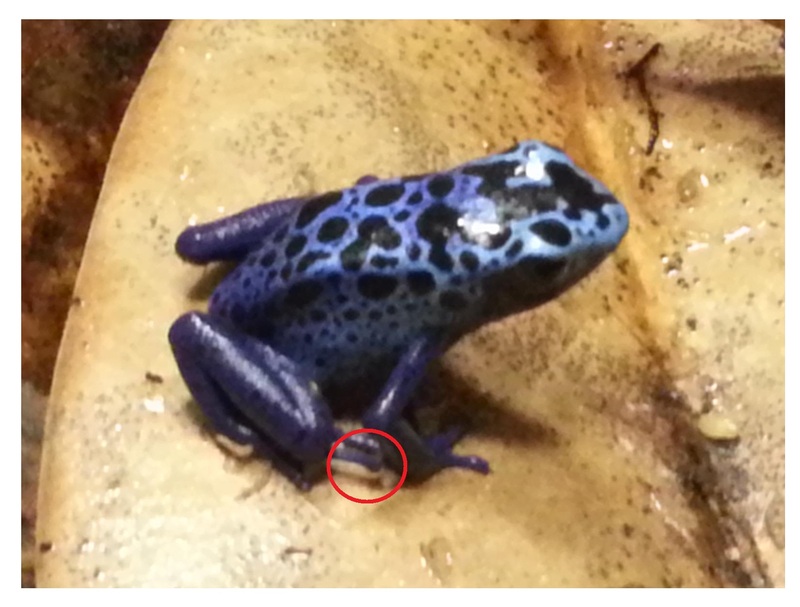 In the red circle below you can see the middle toe of the right hind leg lifted upwards. I was able to capture this image before it tapped back down as the toe rapidly twitched. Since these frogs breathe through their skin the skin itself has to be fairly thin and it also has to be kept from drying out, which is why the frogs need a habitat with high humidity. Otherwise they'd dry to a crisp fairly quickly. I would like this moment to talk about the frog chytrid. Although I am not sure whether or not my species of frog is affected by this fungus, Batrachochytrium dendrobatidis is one of the worst diseases amphibians have had to endure. 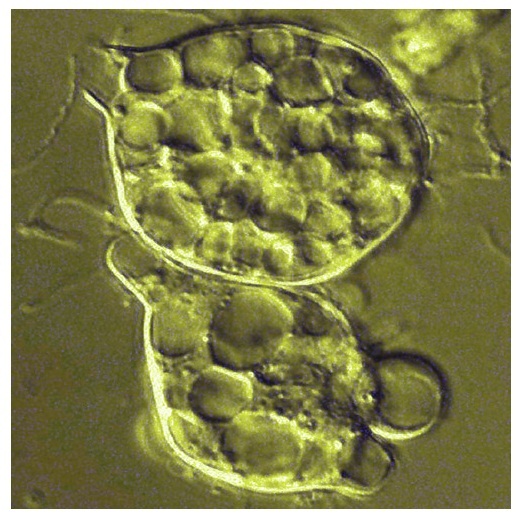 The fungus was identified sometime in 1998 and it harms frogs by forming and reproducing in the frog's skin. Since the frog breathes through its skin, when a fungus begins taking up space the frog cannot exchange gasses with its environment and it essentially suffocates. From the point of infection frogs usually last about three weeks before they begin to die. These frogs may "shed" their skin every few weeks, but no amount of shedding can rid them of this infection. The fungus is transmitted from frog to frog when an infected frog is shipped to a new area and then infects that population of frogs. While frogs in captivity can be medically treated, wild populations need help avoiding this frog plague. 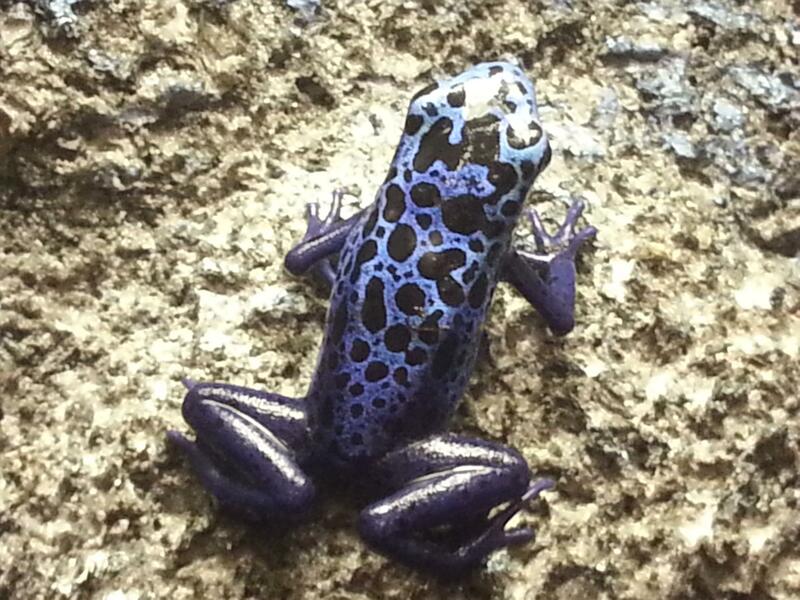 Encouraging the raising of captive bred frogs can help prevent spreading foreign infections to local frogs. Besides this, infected populations may have to be quarantined somehow to slow down and/or prevent the spread of disease.